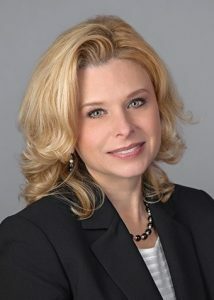 Elisa McNinch of The Bruner Team has proudly been serving the Houston area since 2001. She is privileged to be continuing her parents’, Mike & Judy Bruner’s, real estate legacy they started over 40 years ago. 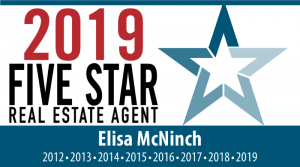 She is a one-of-a-kind agent who prides herself in southern hospitality and has continually been awarded the prestigious “Five Star Professional Award” in real estate customer service consecutively for the past 8 years (from 2012-2019). In 2019, fewer than 1% of all Realtors in the Houston-area will be honored with this award – translating to out of 38,000 real estate agents in the Houston Association of Realtors, only approximately 350 will be recognized with this honor. Elisa is continually a multi-million dollar producer. And although she is savvy with technology, she still prefers to communicate with her clients voice-to-voice, and face-to-face when possible. Professionally photograph each of our listings. Take pride in how we market our listings to include detailed captions for each the photograph as MLS limits content for public remarks in the primary description. This additional commentary allows our listings to stand out in order to showcase each home’s amenities & improvements. Use Premier Realty Services sign company to install our inverted L-shaped yard sign with hanging panel. Utilize Centralized Showing Service to schedule appointments and provide feedback after showings. Use SUPRA lockboxes (for security purposes). Use Docusign to sign documents electronically via email for client convenience.